I saw this on an archived version of Willie O’Deas Website from 2002. They see, just like the rest of us, a potentially seismic realignment of Irish politics. Their problem is that they don’t know where to shift to. 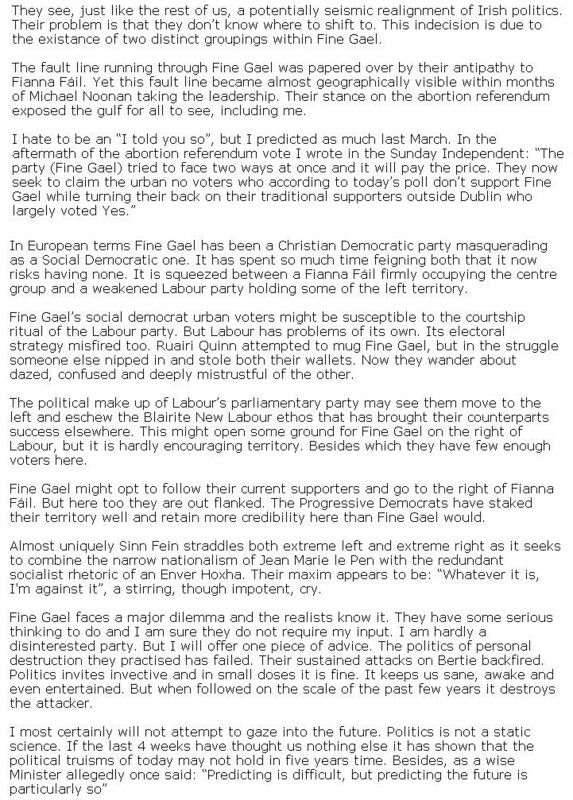 This indecision is due to the existance of two distinct groupings within Fine Gael. 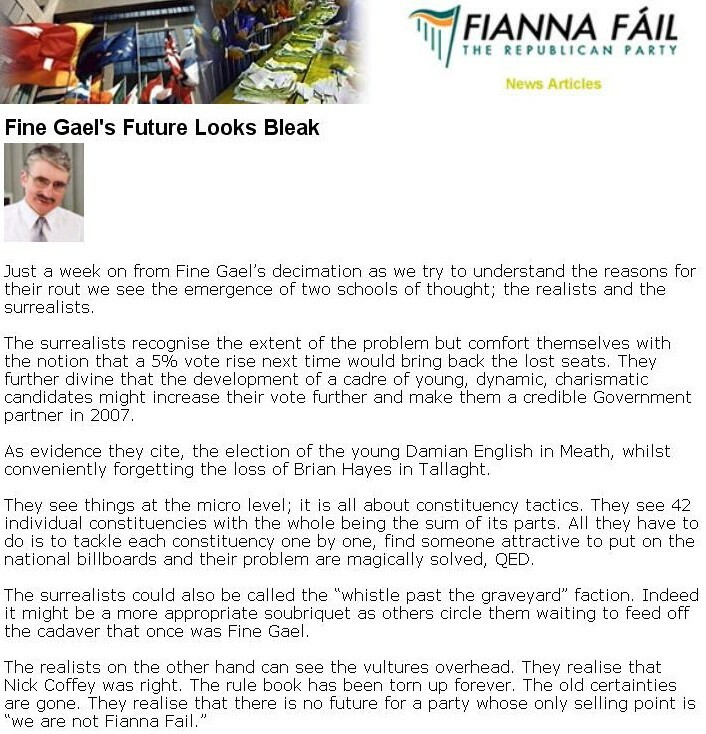 The fault line running through Fine Gael was papered over by their antipathy to Fianna Fáil. Yet this fault line became almost geographically visible within months of Michael Noonan taking the leadership. Their stance on the abortion referendum exposed the gulf for all to see, including me.